Two populous states are on the path to legalizing commercial surrogacy, a move that's drawing intense criticism from bioethicists, egg donors, donor-conceived children and pro-life advocates. Legislation permitting the practice is being considered in New York and New Jersey, and the New Jersey bill, known as bill S482, which recently passed through both houses of the state legislature, is sitting on the desk of Democratic Gov. Phil Murphy. New Jersey Right to Life is actively opposing the proposed legislation. If Murphy does not sign, veto or conditionally veto it by May 28, it will become law. Marie Tasy, NJRTL executive director, explained to The Christian Post in an interview on Monday that all too often an unfortunate disconnect exists in the minds of many people who advocate for the unborn on this issue as some pro-lifers have no problem with surrogacy. But the in vitro fertilization process, she explains, involves the creation of an excessive number of surplus human beings, embryos, who are frozen, used in human experimentation, or are destroyed. "If too many of these human embryos (beings) implant in the uterine lining, or a disability is found in one or more of the human embryos, the woman is encouraged to have an abortion," Tasy said. In the case of the surrogacy bill on the New Jersey governor's desk, she added, one of the legislation's sponsors said during a hearing that the intended parents procuring the child through a surrogate can force the mother who is carrying the baby, who is referred to as the "gestational carrier," to undergo an abortion, she said, if they demand it. 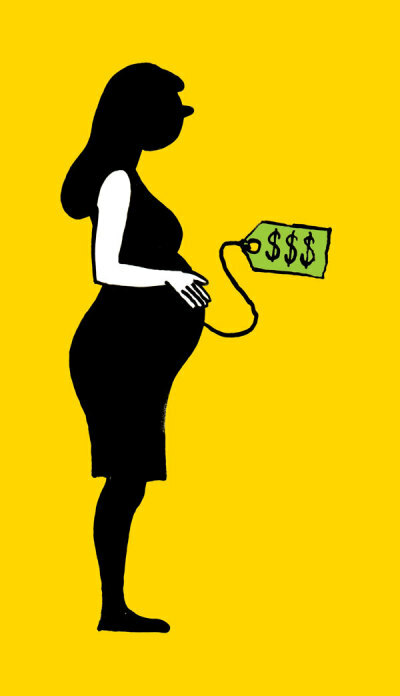 "Gestational surrogacy exploits women's bodies and treats children as products to be bought, sold, and, yes, even slaughtered, at the whims of the intended parents," Tasy continued. "That's clearly not pro-life and neither is the technology that is used to create these children." The media rarely reports on surrogacy, except when speaking about how celebrities utilize it and always portray it as wonderful, said Jennifer Lahl in an interview with CP on Monday. Lahl, president of the San Francisco Bay area-based Center for Bioethics and Culture, further explained that even as other nations have closed their borders to surrogacy due to abuses that have occurred, an "ignorance is bliss" mentality among American policymakers, journalists, and ordinary citizens about the debate and relevant surrogacy laws on the books bolsters the notion that with state of the art medicine and iron-clad legal contracts the United States can somehow do surrogacy arrangements "the right way." But there is no right way, she maintains. Lahl spent approximately 20 years as a pediatric critical care nurse and has produced several films that have pulled back the proverbial curtain on the shady practices of the fertility industry and the risks of artificial reproductive technology. "I am well aware of the real medical risks to surrogate mothers and the children they will carry. There are no protections in these laws for what happens when a surrogate mother is harmed," she continued. CP recently reported on the The Uniform Parentage Act, which legalized commercial surrogacy in Washington state earlier this year, a law that does not require that the people commissioning children be residents of the state or even American citizens, thereby making the northwestern state an international reproductive tourist destination. "Many state laws don't allow surrogate mothers control over her own body during the pregnancy and they often want the surrogate mother to terminate her maternal rights often before she is even pregnant — unlike adoption where birth mothers surrender maternal rights after the child is born — really setting women up to be hired, paid breeders," Lahl added, making an analogy to Margaret Atwood's famous book The Handmaids Tale. And when a nation or state allows the practice of surrogacy a market for human eggs and sperm is necessitated. Ell Meagan Bell, 41, of Sacramento, California, donated her eggs and was compensated $2,000 for her trouble, opting to take less money to ensure that her donation was not anonymous. She donated in 1999 when she was 22 years old out of a desire to help people become mothers because she wanted women to know the love of motherhood. Egg donors are often referred to as "angels." She explained in a CP phone interview on Monday that the egg donation was the worst move of her life, pointing out that it is not until age 25 that the frontal lobe of the human brain is fully developed — the region in the brain where decision making processes take place — and the fertility industry entices young women under that age with manipulative language and financial incentives. "The effects of egg donation have never been researched or studied," Bell stressed. 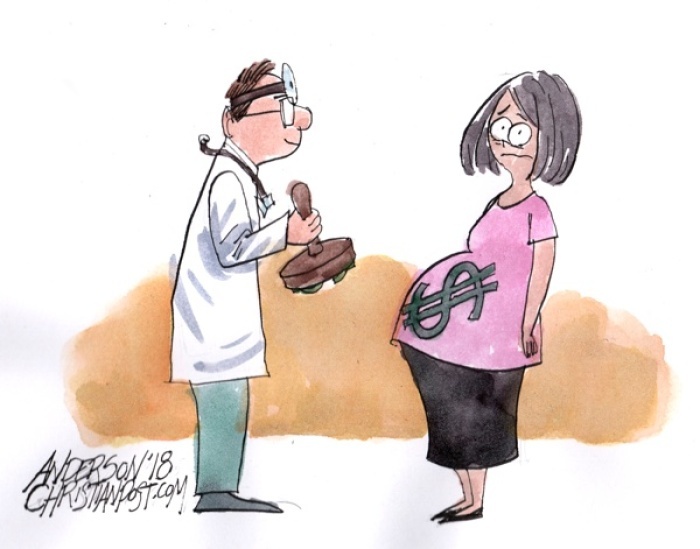 She told CP that today she suffers from wide variety of medical complications from the fertility drugs she ingested in order to donate and is regarded by her doctors as a "medical mystery." "All these [fertility] clinics tell us, 'Be an angel, be angel' for someone. Well, some people believe that angels are dead and egg donors are dead, becoming angels, literally," she said, with sobriety. "Moreover, ex-donors are increasingly reporting seriously adverse health conditions, particularly related to endocrine and neurological health. Ex-donors who have died from atypical cancers, such as Brittany Maynard and Jessica Grace Wing, did not have familial histories for these diseases," Bell contends. While societal awareness of egg donation has increased, many think that the technology is rather new, she said, but the procedures have in fact been marketed to the public since the 1980s. The parents who ultimately received Bell's eggs, she said, lied to the children who came about from those eggs for 17 years about their genetic history, and deliberately withheld medical information from her. "The states of New York and New Jersey should be aware of the strong probability that as ill and injured ex-donors and donor-conceived adults come forward and organize, the resulting human costs and litigation could grow exponentially," she said. Cassandra Adams is one such donor-conceived adult from Jersey City, New Jersey, who found out seven months ago through a 23andMe DNA test that the man who raised her was not her biological father. She strongly opposes the pending surrogacy bill in her state. Adams explained to CP Monday in an email that the effects of third party reproduction "are felt every single day" by donor conceived people, especially children. And those children inevitably become adults and are thought of almost as property. "We exist as 'children' indefinitely — not as the fully independent human beings we become," she said. Adams now has a 2-year-old child of her own and made a point to mention another issue that presents itself is the bonding a newborn with the mother's body, particularly when breast-feeding after birth. "I cannot imagine the trauma for the surrogate and for that infant. It truly pains me to think of that, as a mother." "The main thing to remember," she said, is that when human beings are created in this way they are made for the desires of parents, and it fails to take into consideration the needs of children. It is the children, she added, who bear the brunt of the consequences and will endure them for the rest of their lives. "Life is a beautiful, beautiful thing. I am grateful [for my life] beyond measure, but life without dignity is a disgrace to our world and our value system. We need to do better for the next generation," she said.